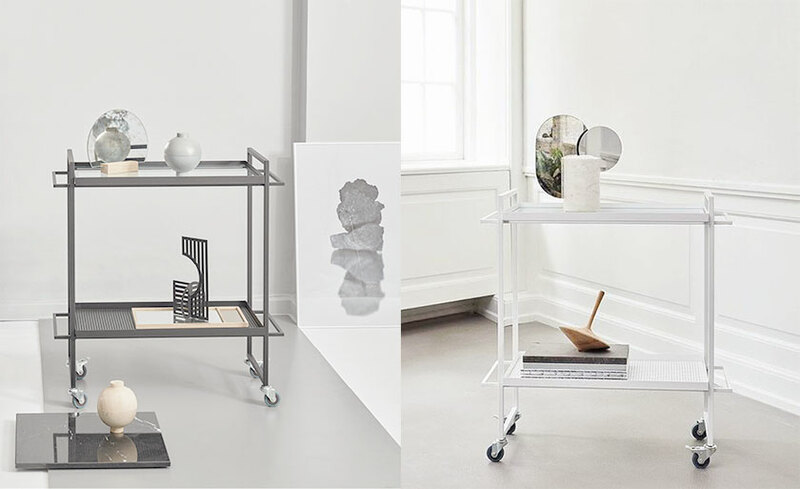 You might’ve noticed already: trolleys are back from the past. While they were still considered being old-fashioned just a few years ago, they’re now confidently strolling towards a major comeback. In just one week I spotted three of them. And they all had one thing in common: I couldn’t keep my eyes of off them. (I call it the Ryan Gossling effect.) And not merely because they’re ridiculously practical, but simply because they’re fine pieces of craftsmanship and design. 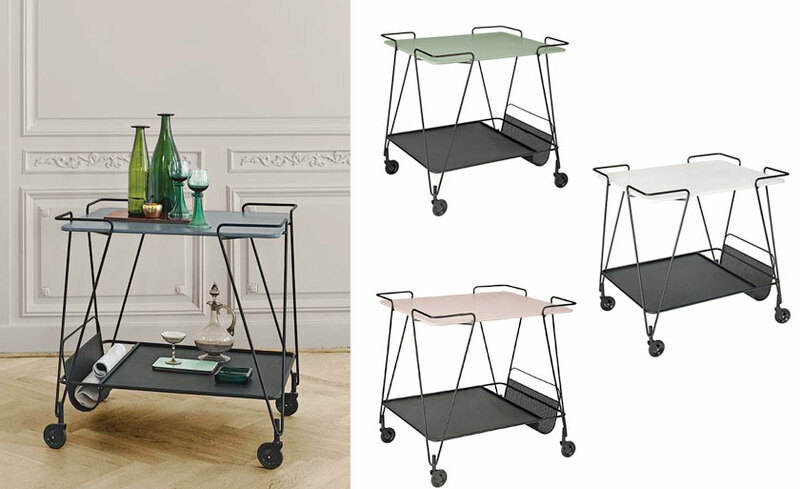 The OK confetti trolley is a real homerun to those who can appreciate a fun twist. As if it just hosted a hell of a confetti-themed party and forget to clean up, the Terrazzo top contains many playful colours. The thin frame is made in such a subtle way that it’s able to seamlessly blend with any interior, without screaming for too much attention. Perfect to showcase a few of your favourite interior pieces or magazines/books. Remember the Ryan Gossling effect I talked about earlier? I spotted this one in a shop in France and instantly fell in love. And when we got back home, I saw it again on Misterdesign. You get the idea, I couldn’t have been happier. As a cherry on top, they come in a variety of colours. You have six of them! 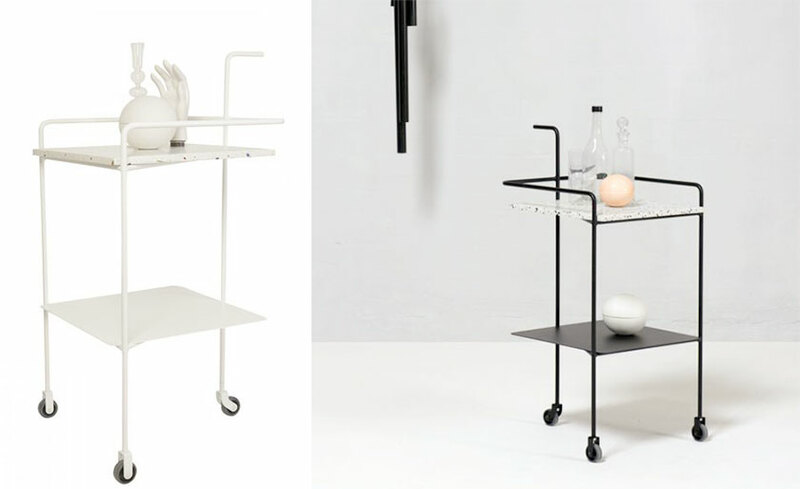 What do you think about these trolleys? Nay or yay? Would you want one? Like to read this post in Dutch? Head over to the Misterdesign blog! Snap ik! Echt zo mooi he! !